You look gorgeous, and your cake is adorable! I hope you're having the most amazing birthday yet! You look so pretty! Happy birthda! Happy birthday, you look wonderful! Thanks for sharing with Visible Monday, xo. Happy birthday!! How sweet to get a happy birthday song from your son and such a pretty cake. Love that full, colorful skirt! Especially paired with the chunky sweater. Happy Birthday! Happiest of birthdays! Hope it's a great one! Also, that pink skirt is FANTASTIC. You look stunning & that cake is awesome. Did you make it? I recently posted an outfit with pink pants and a very similar sweater- great minds think alike! Love your fancy skirt, and that cake is completely gorgeous. I've never seen such a pretty cake. Pinning! Love the pictures so great that you have a birthday pic. The skirt color is great! You look so great! Nice photos! Happy Birthday! That is a perfect party skirt. Awwww so cute! Love the skirt. Happy Birthday! Your cake is amazing. Your outfit is so pretty. Happy birthday! Happy Birthday to you! Love the skirt; it's the prettiest. Cute, yummy cake. I want! Happy Birthday! So cute of your son. 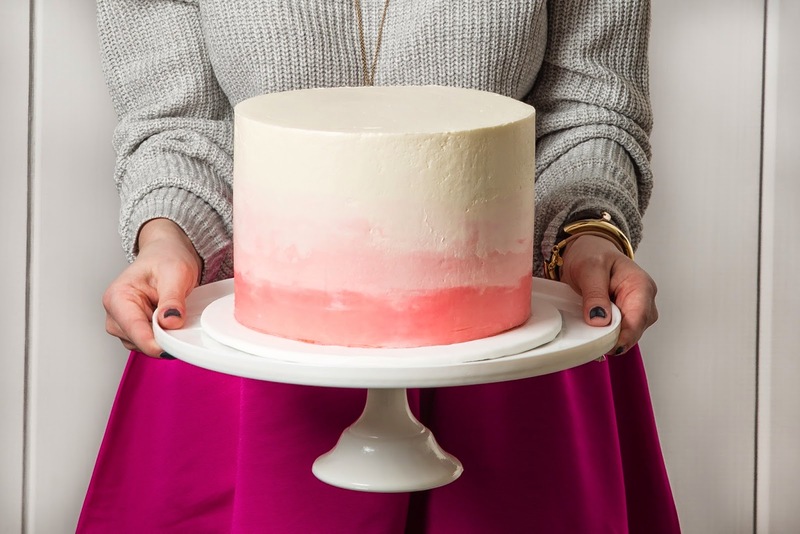 I love the beautiufl cake, and I am drawn to pink. Love the grey and hot pink mix. Love your skirt!Gorgeous color! And that cake looks delicious! 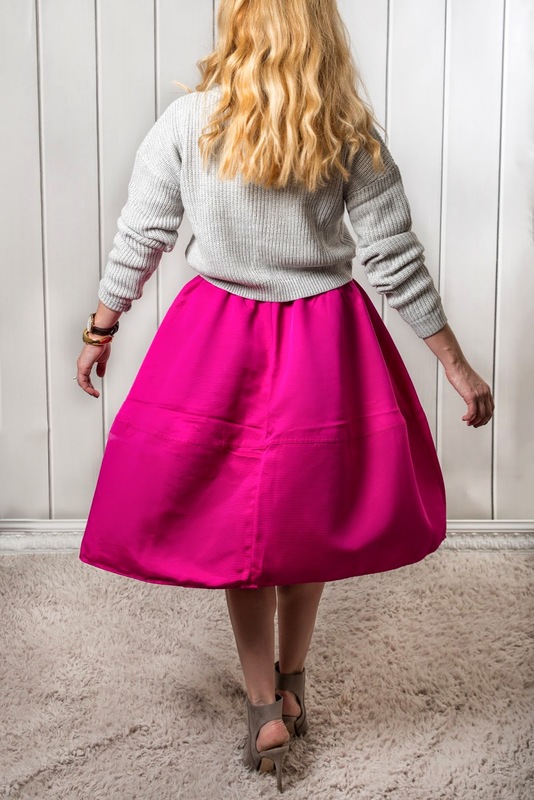 Love your skirt! It looks great paired with grey. The cake looks amazing too and matches you perfectly! 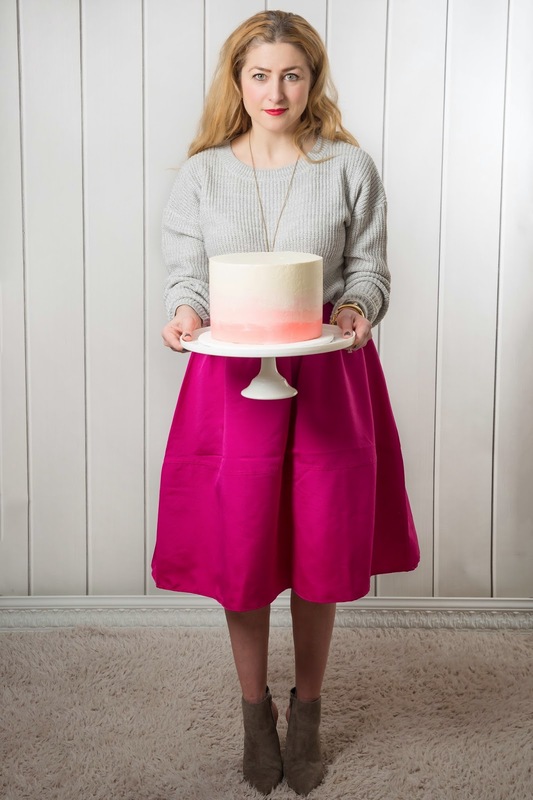 That skirt is so gorgeous and... THAT cake! I love ombre, especially pink! SO pretty! Have a wonderful bday! 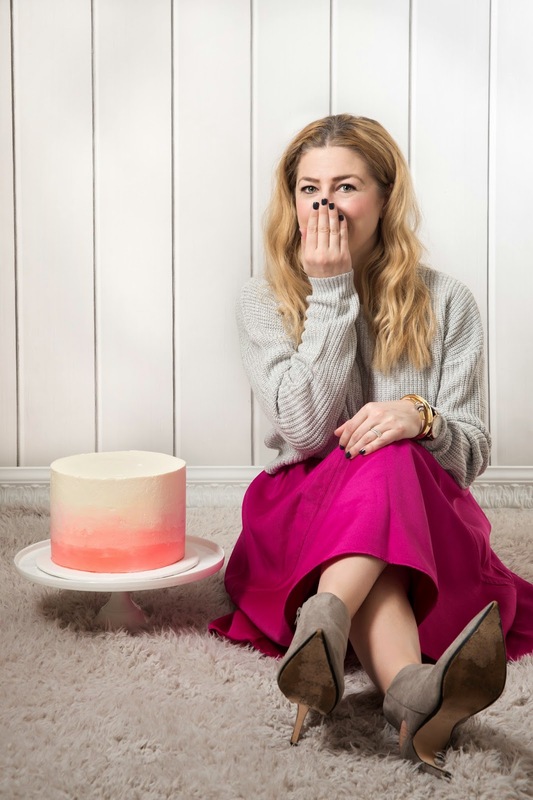 Love your outfit and your beautiful ombre cake. Such wise words, what a meaningful birthday reflection. Thank you so much for joining the #reasonstodress linkup hope to have you back on Tuesday! Would love to have you join my weekly linkup #reasonstodress dedicated to Real Mom Street Style. Please come on by if you fancy joining and it was very nice to *meet* you! Amazing outfit for the birthday, girl love the coordinating cake! Hope you have a fantastic day! Happy birthday! 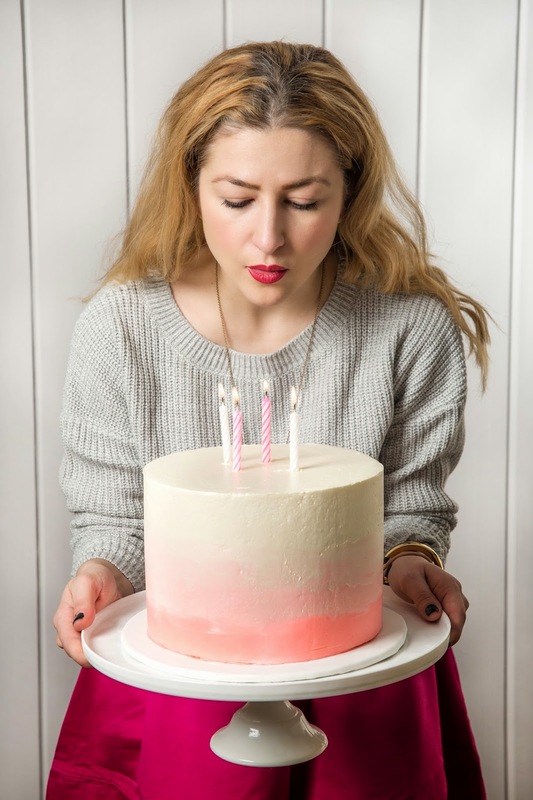 Love the ombre cake - looks too pretty to eat. Thank you for joining TBT Fashion link up and hope to see you next week. I love this. The whole entire thing. Happy birthday, you look gorgeous! Happy belated birthday! By the way, absolutely beautiful skirt and cake! Thank you for linking up with the Thrift Sisters.